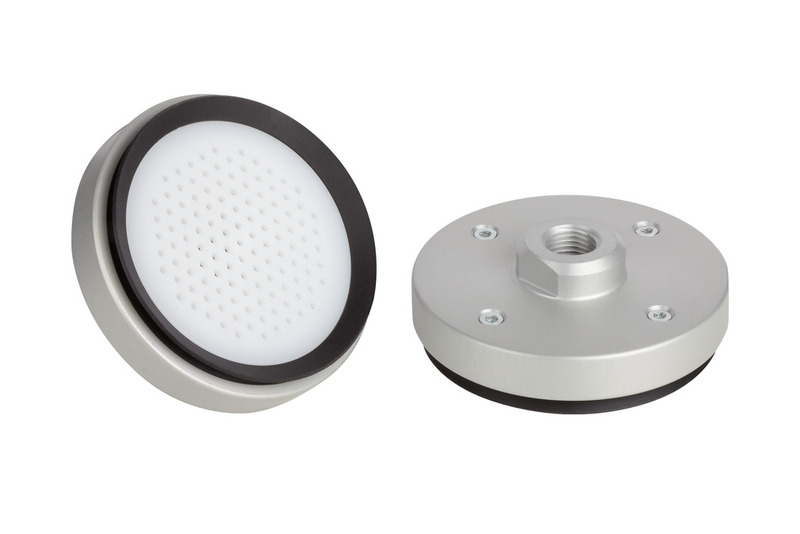 These suction plates are ideal, in particular, for handling flexible materials such as prepreg or semi-finished products made of fiber composite material. The suction areas have uniform holes added for surface vacuum distribution. The adaptable sealing ring ensures a good seal and increases lateral forces.